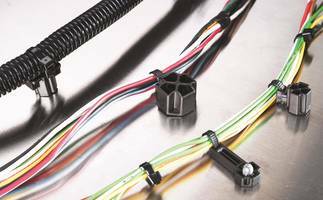 HellermannTyton’s Stud Mount Cable Ties are available for stud sizes ranging from M5 to M12 and are suitable to route wiring and cables in auto, truck and heavy equipment. Units provide an extraction force of up to 80 lbs and are designed to bundle wires, cables or hoses that can be pressed onto threaded stud or bolt without tools. 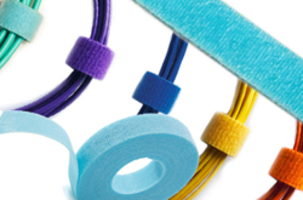 NYLON 12 Cable Ties are chemical resistant. 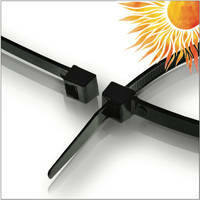 NYLON 12 Cable Ties are suitable for solar and wind power applications. Units offer temperature fluctuations and low water absorption. Products are available in 5 in. up to 14 in. sizes and come in packages such as 100 per bag and 1,000 per case. SapiSelco's Cable/Wire Ties meet self-extinguishing Nylon ratings (UL 94: V2). 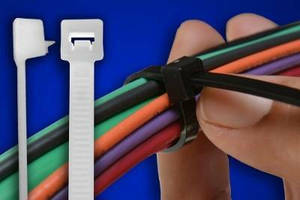 SapiSelco’s Cable/Wire Ties are available in natural, black and five colors. SapiSelco’s specialty cable ties come in UV resistant, metal detector readable, pushbutton re-openable/reusable, buttonhole, screw mount variants. Nylon marker cable ties come with built-in identification tags. 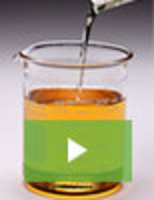 Stainless steel nylon cable offers resistance to corrosion and provides high mechanical strength. Blind Hole Mount Cable Ties feature metal locking mechanism. 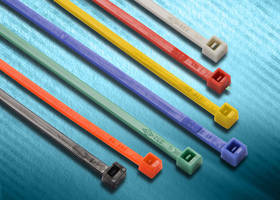 Blind Hold Mount Cable Ties are designed for threaded and non-threaded holes. Made of heat-stabilized PA66, units come with an inside or outside serrated cable tie or an offset cable tie. Suitable for elevated temperatures, the product is capable of affixing wire bundles and cables for blind hole applications. Cable ties come with optional nonmetallic material. 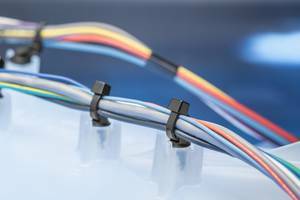 Releasable Cable Ties with extended pawl from Advanced Cable Ties, Inc. Available in 7, 11, and 14 inch 50 lb, Releasable Cable Ties are suitable for cable, wire, or hose bundling applications. 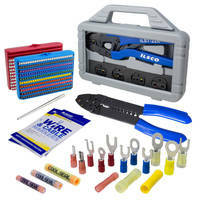 Product provides easy access to add or remove cables using the one piece extended pawl design. Bent tail helps in easy installation or removal of wires and cables. 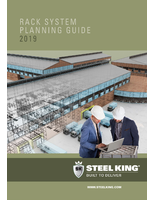 Wire Management Products come in diverse configurations. Cable Tie Application Tools feature ergonomic design. Cable Ties color code wire bundles. Cable Tie enables trimming excess tail without tools.